Instagram growth tools often rely on big data to help social media accounts thrive. Here's how these tools use predictive analytics algorithms. 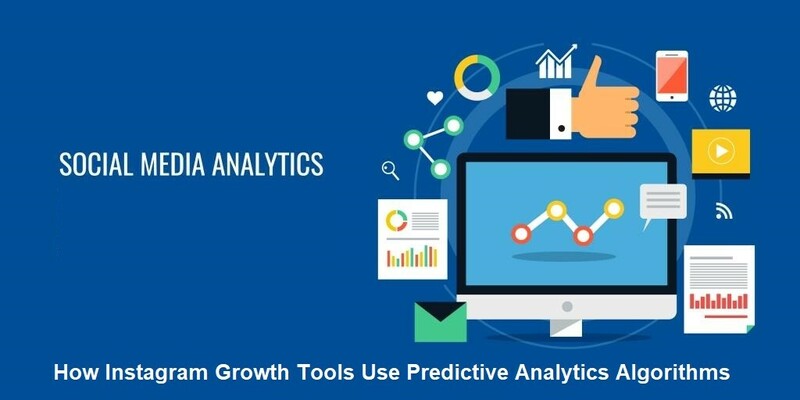 Predictive analytics has played a key role in numerous marketing functions, particularly Instagram growth tools. A large number of organizations have used Google Trends to forecast future revenue growth and identify the most lucrative keywords to focus on. However, there are other predictive analytics applications that have received far less attention. Nevertheless, these functions are equally important. Instagram marketing is one of the newest fields that rely on predictive analytics. A growing number of tools are being developed, which help companies grow their Instagram presence. These tools rely on sophisticated algorithms that understand user behavior and analyze it to make bold predictions that influence their marketing campaigns. Technology is an awesome thing. Through the development and use of new tools, we can accomplish tasks with greater efficiency. This leads to faster growth and more progress over time. So not only does technology make life easier, but greatly enriches it by allowing us to do more than previously possible. It’s what helped us sail across oceans, conquer the sky, land on the moon, and connect the entire world under a single digital web. Big data has played a massive role in all of these fields. Many view the internet as one of the major frontiers left to be explored and fully harnessed. Social media in particular holds an incredible amount of potential. In order to do the job, however, we’re going to need the right tools. 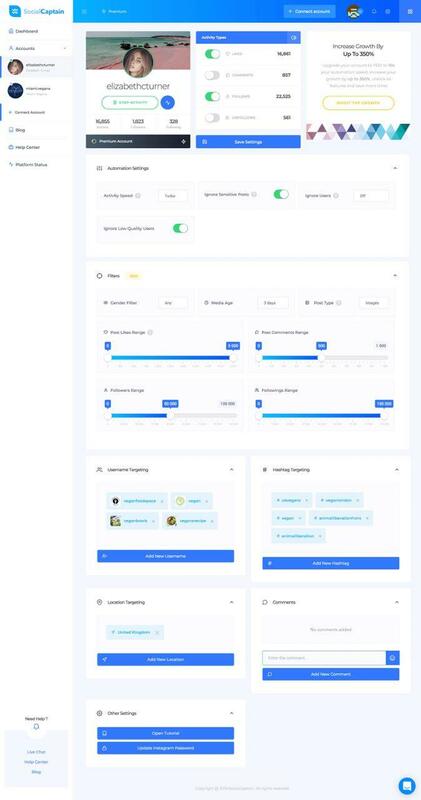 A few months ago I discovered an impressive tool called SocialCaptain. I think will appeal to all of the Instagram users out there, as it’s one of the best growth services I’ve seen for the platform. That’s largely due to their use of state-of-the-art technology, which I will detail in the following review. It was made possible with massive advances in big data. You’ve probably heard the axiom above countless times before. While it might seem like just another cliche saying, there is a lot of truth to it. If you can find a way to do something quicker or with less effort, yet still achieve the same level of results, then you should absolutely pursue it. 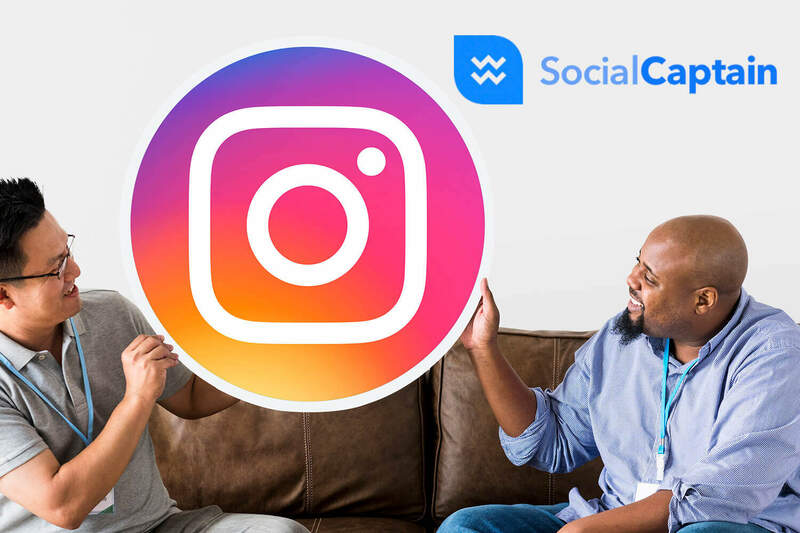 This brings us to Instagram growth tools like SocialCaptain, an automation service that uses artificial intelligence to increase your follower count. It does this by finding other users, reaching out to them, and interacting with their posts. It’s a service aimed towards anybody who wants to gain more recognition on Instagram, whether they are an artist, a business, or an influencer. You hardly even have to do anything, other than set it up and maybe check on it occasionally. Machine learning is an algorithmic method in which a robot is able to teach itself and become smarter. For a few people, this might sound kinda spooky. I mean, most of us has already seen Terminator and know about Skynet, right? Don’t panic. It’s nowhere as scary as it might sound. It’s all pretty normal in practice, and actually quite fascinating to watch. It probably won’t do any sweet motorcycle stunts like Arnie, though. Social media growth AI applies machine learning algorithms as a way to improve its functions. It analyzes its own collected data, and recalibrates itself to formulate more effective strategies. So, in a way, you could even say that it thinks almost like a person would. SocialCaptain also has top-notch targeting filters when pitted against its competition. You can customize the settings to make it concentrate its efforts on specific groups of users. It can also directed to only interact with posts within a certain date range, that are from a distinct location, or contain specific types of media. I’d say that targeting is actually the most important part of automation. It usually takes longer to search for users that seem likely to enjoy your content than it does to hit the like or follow button. Automation can do all of those actions in an instant once it’s been properly set. Consider for a moment if you were to hire somebody to do the work of an automation tool. That would involve them working every minute of the day, without any sleep or interruption at all. This includes zero holidays, vacations, or sick days. An impossible dream, no? When you frame it like that, automation is an extraordinary deal. It’s like hiring a superhuman who is entirely dedicated to their job and works for pennies every hour. 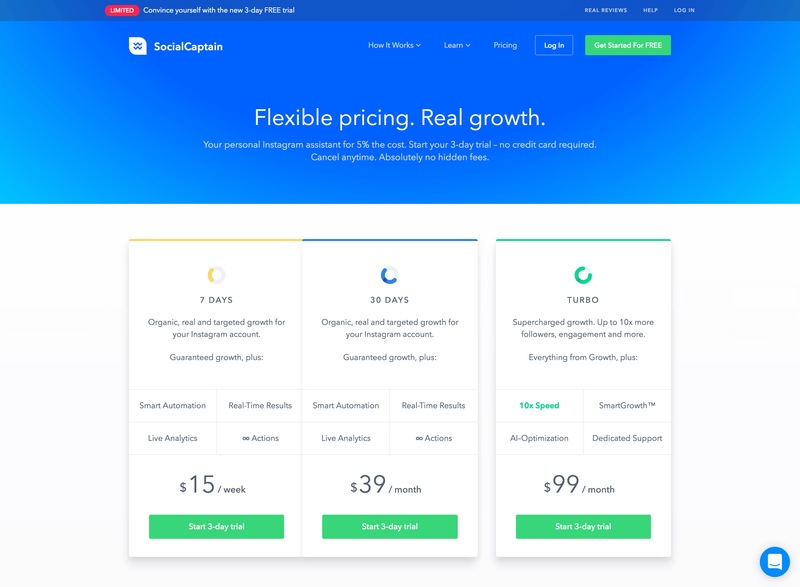 SocialCaptain is accommodating when it comes to pricing, as are many Instagram growth tools. You can go with a basic package for either $15 per week or $39 per month. Then, if you really want to hit some ridiculous growth speeds, you can go with the Turbo plan for $99 per month. That option is 10x faster than the others. Advances in predictive analytics have had a profound impact on Instagram branding strategies. They are changing the future in numerous ways. What will be the final impact on social media marketing?